big things are happening around here, my daughter lost her first tooth! very exciting. we decided to make a little bag to put the tooth in for the tooth fairy. 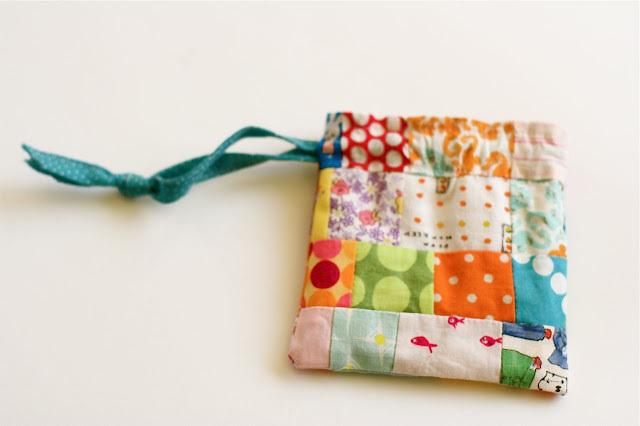 what is it about a little bag that is so fun to put treasures in?? i might be catching a "bag making bug". this is really fun, and i can think of so many other uses, plus I love to see my kids toting them around. oh i love it, it is so cute~! A special bag--for a special event. Very cute! That is cute. 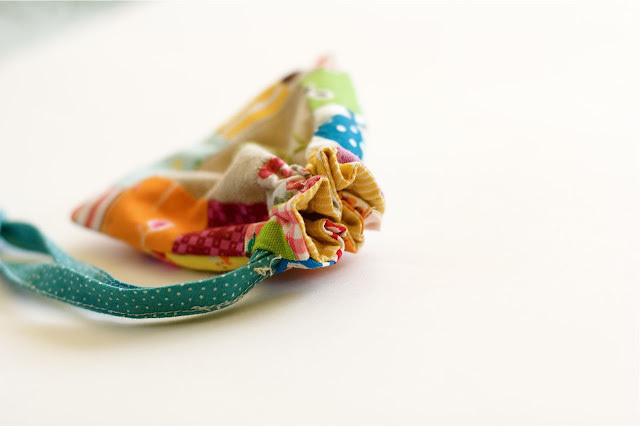 Little bags are so fun and you won't have to worry about a small tooth under the pillow! What a great idea! Very clever! And your photos are lovely. Super cute! 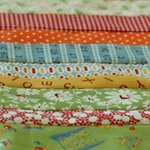 You should post a tutorial for those of us that are "sewing anything other than a quilt" challenged! Nettie that is adorable!!!! I wish I had one when I was young. sammy uses her bag (from the pinata) for her little toys and keeps it in my diaper bag. super convenient for church. so cute... two treasure in one! I love this! 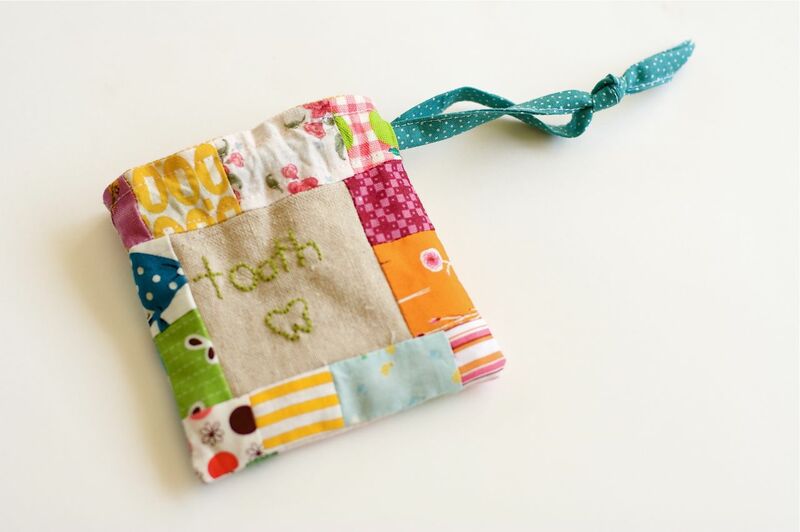 I am a dentist, and my middle child just lost her first tooth, and had me thinking about making tooth pillows for her and for friends' kids...maybe I will switch direction to a bag. Nice! It's so cute!!!! Also love the bonnet in your last post. Just adorable.!!! That is the cutest little tooth bag ever!!! Congrats to your little one! My oldest has her first loose tooth. I think I'm as excited as she is! She doesn't know yet, but she's getting her ears pierced when she looses it. This is so cute! What a great idea! I love miniature things. that bag is cuteness defined! That is just so cute! And just inspiration I need for making a tooth holder for when the tooth fairy visits our house! Both my kids are currently sporting loose teeth! I always struggle to find the teeth under the pillow when I'm helping out the tooth fairy in the middle of the night!! Nice, I love these little and suite bag. I so agree. There is something so attractive about a little bag as cute as this. What a cute little bag! I love the embroidery that compliments the patchwork piecing. 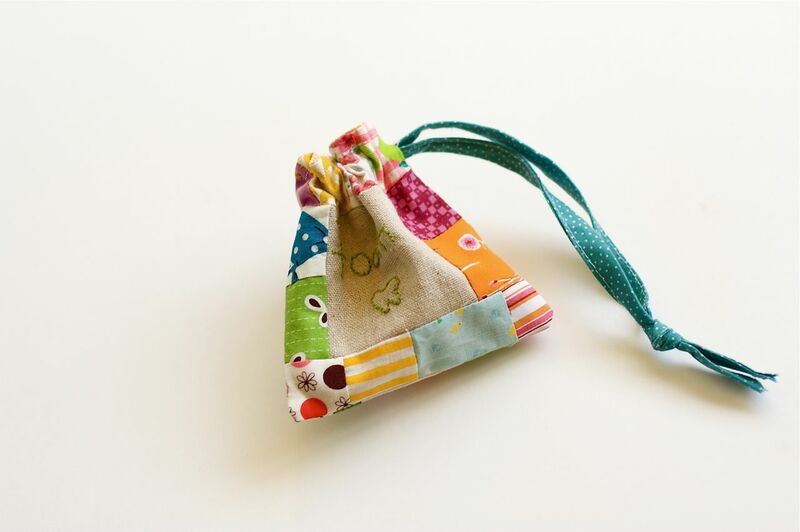 I love little drawstring bags, for presents, small toys, craft supplies on-the-go. You name it. I love this - your daughter will be the toast of the tooth faeries! 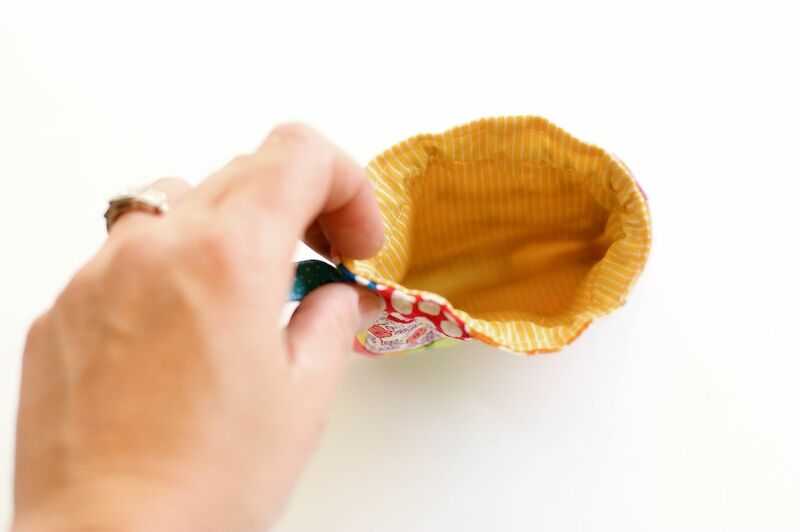 Wow, what a super-cute little bag! I love it! That is a cute little bag. So sweet and adorable. That is just beyond cute! Now, what I want to know is did you have time to make it that day? Or did you make the tooth fairy wait awhile? I feel like my kids will have cute kid stuff made fir them at 20! Thanks for the "test drive" of the Go! Cutter! It was nice to see how it works. I have been worried about the fabric wastage also, but you seem to have that solved. Thanks too for the chance to win! It looks like a great tool for those difficult to cut designs. I can do squares and rectangles all day long, but some are just too much of a pain to mess with. Loved your little bags. Great idea! The tooth fairy couldn't find my daughter's tooth one time. Heartbreaking for child and mom. This would make it easy. LOVE it. Thanks again for the chance to win. That's so cute! How did you make that? I am new to the whole sewing thing. I've made three quilts and I'm working on my third. I'd love to make a little bag like that. I love the idea of a bag. I had a pillow my mom cross stitched with a little pocket and wish I still had it.